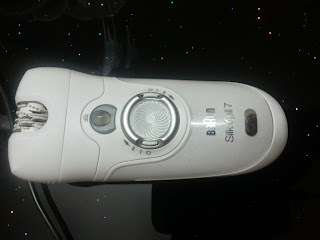 I longed for this epilator since i was in school n was about to start my swimming classes. We could not afford it then n over the years i forgot about it. Until i found a lady on a beauty blog talk about it. My childhood dream was rekindled and i immediately ordered one from flipkart. This is byfar the best life saver gadget for the working mom, of course after the mobile..which is no more a gadget but a part of you..Ultimate saviour for women like me who are on the go. M sure a lot of women out there struggle to find time for their regular waxing etc while handling demanding jobs, kids, spouse, home management. Therefore for this segment Silk-epil is a boon. No parlour visits, no hygiene issues to bother about. You can do your waxing at your leisure n convenience. Its a necessity for working moms n a complete miracle product. Hi Riya, is it painful? Hi rupa...Very little compared to waxing.